This series is intended to be useful as a daily routine. Spiritual development is best accomplished by working at it daily. In fact, as far as my research goes, its the only way. This is the introductory module. Additional programs will cover Chopra’s seven laws of spiritual success that are detailed in his book, “The 7 Laws of Spiritual Success” — practicing one each day is recommended. Links to the seven modules will be added at the end of this post as I publish the remaining modules. 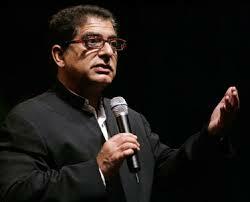 Deepak Chopra defines success as the continued expansion of happiness and the progressive realization of worthy goals. This definition is quite different to society’s rules for success, which is almost always connected to material gain or external recognition. Although these things are often the result of success, it is by no means the cause or even the definition of success. One of the most fundamental lessons in The Seven Spiritual Laws of Success is that true and lasting success is an internal process and that it has very little to do with what goes on outside of you. When you realize that who you really are is not your body, but that you are essentially a spiritual being having a human experience, you can start to shift your attention to creating not just success but that sense of inner peace, fulfillment and joy that is the very purpose of your life here on earth. Living with an inner sense of peace every day of your life, having harmonious and joyous relationships, contributing to life and having energy, enthusiasm and eagerness is what The Seven Spiritual Laws Of Success is all about. Many of us grew up with the belief that achieving success requires relentless hard work, grim determination and intense ambition. As a result, we may have struggled for years and even reached some of our goals but wound up feeling exhausted, our lives out of balance. As Deepak Chopra observes in his transformational work The Seven Spiritual Laws of Success, such desperate striving isn’t necessary or even desirable. In the natural world, creation comes forth with ease. A seed doesn’t struggle to become a tree ― it unfolds in grace. Establishing a true self is essential. Need help or want to collaborate with me? That is one of his books that I don’t have. I have read there is a great debate taking place between Deepak and scientists who are disputing his ‘mumbo jumbo’. However what he says resonates with me. Thank you for sharing this Eric. The debate is with Richard Dawkins. Dawkins is an evolutionary biologist and ethologist. He contributed to how evolution — natural selection — may behave — with descriptions of a model that includes a mimeme (meme) biological component. It may in fact turn out to be accurate — this is how science works — from a predictive model that is promising by the mathematics. However, research in labs must test it. The meme mechanism is predicted as a means for how that in humans an idea, behavior, or style spreads from person to person within a culture. Presently we do not have technology to isolate or demonstrate physically these mechanisms. Great reminder of a sense of ease shall accompany creation. We have opposing views to consider always; contrasts that are actually conflicting forces. Erickson was making Freud’s work more relevant. Jung was grappling with these dilemmas as well. Jung’s collective unconscious – the collection of humanity’s personal unconscious is taking us into the modern thinker works — such as Maslow, Tolle, Chopra here and Dyer — a ‘new age’ psychology — find out what consistently brings about feeling good progress and work on self from there. Conscious choices are not easy — unlike physical growth of nature directed energy, there is a mental energy process that dominates. Instincts/drives and ego. This may as often tear us away from self-actualizing as contribute by happenstance. Our DNA and cellular programming makes most of living happen automatically… its the social areas that confound us. Thus, there is volumes to explore and its trial-and-error, correction, trial-and-error, correction always. Well, living life as if () causes me to want a solution and then to fit myself into the solution rather than fight the ego and the present with the past. A solution is applicable to all areas even though I may not always be instantly able. I am convinced by this time in my life that living life as if () is a mantra that works– these trainings that I put here help me place myself into a solution and take me out of problem to problem — trial-and-error, correction, trial-and-error, correction method. Its way to hard to live when there are only models of a physical realm unaided by a realm of consciousness that completely supports positive expansion and has little to do with negative separating experiences – thought, emotions, and feelings. That method requires me to be Superman, Einstein, Mr. Rogers and Oprah instead of myself. With spiritual principles rooted in the simple truth as what Jesus directed — love God and love others as my self — I am best able to keep to living as if () — a solution path. Its not easy or even easy-peasy at all — it requires discipline and setting goals and using mentor/guru/spiritual advisors — etc. Thanks for your comment Kimberly. Please make comments whenever you may feel in the spirit of that.